World Health Day is celebrated on 7th April, to commemorate the creation of the World Health Organization (WHO) on 7th April 1948, and to promote health in all its forms. Each year, a specific theme is addressed on this day. This year it is dedicated to the Universal Health Coverage (UHC). As part of the UN Sustainable Development Goals (SDG’s), all countries have committed to achieving the UHC by 2030. The WHO was created with a clear and ambitious vision: a world in which everyone enjoys the highest attainable standard of health. The Constitution of the WHO states: ‘The enjoyment of the highest attainable standard of health is one of the fundamental rights of every human being without distinction of race, religion, political belief, economic or social condition.’ While enormous progress has been made in addressing some of the world’s leading causes of death and disease, much remains to be done to achieve this vision. Today, half of the world’s population does not have access to essential health services. Sport has a role to play in achieving these different health objectives. Participation in physical activity can have a significant impact on the health of individuals and communities. The physical, social, emotional and cognitive benefits of sport are recognised (see the UNICEF & Barça Foundation ‘Getting into the Game: Understanding the Evidence for Child-Focused Sport for Development‘ report). Launched in 2019, the ‘Scoring for Health‘ programme encourages children from the ages of 7 to 13, and their parents, to adopt a healthy lifestyle and make them aware of the value of eating healthily and being active. One of the drivers behind the programme is the recent work by the WHO, which finds that obesity in children remains an important public health problem in Europe. On a weekly basis, participants will have the opportunity to attend interactive classes with specialists on topics such as nutrition, cooking, physical activity and to participate in football sessions. Key physical indicators and health determinants (weight, height, BMI, speed, balance, etc) will also be measured, collected and calculated for each participant. This will give an instant analysis of each child’s fitness and provide a scientific basis for allowing comparisons and defining the participants’ progress. 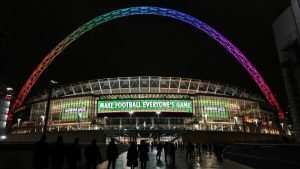 The ‘Active Fans‘ programme, which runs from January 2018 until June 2020, aims to develop a new European standard and methodology that uses football as a tool to reach men and women from 35 years and older who would like to get physically active again, make lifestyle changes and improve their diets. Furthermore, the programme is the first step towards the Healthy Football League which will launch in August 2019. The club has implemented several interesting programmes to tackle issues like inactivity, social exclusion, or bad food habits. The ‘FC Emmen Oldstars‘ is a walking football programme which targets elderly people so that they can maintain an active lifestyle. Naoberschap United, the foundation of FC Emmen, organises sessions every week that are adapted to the physical conditions of the ‘Old Stars’ and contributes to stimulating a healthier lifestyle of the participants. In collaboration with the Huize Odoorn centre, FC Emmen created the ‘United stronger than alone‘ project. The main goal is to socialize elderly people who are too often isolated. Every month a fun or educational activity is organised, for which any elderly who want more social contact are invited. Other than the monthly activities, the elderly participants are helped intensively to counter loneliness as a group. The ‘Emmen Healthy‘ programme aims to improve the eating habits of children and their parents. Once every two months, more than 200 people are invited to eat a healthy breakfast with the club first team players. 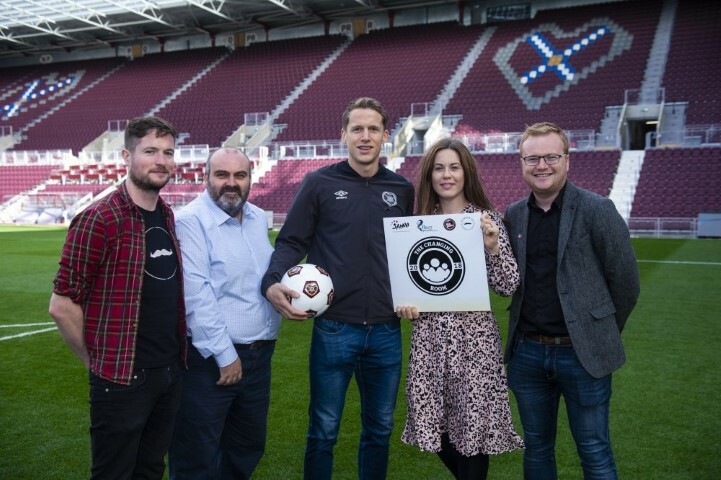 Launched in 2018 by the SAMH (Scottish Association for Mental Health), the Changing Room is a pilot project working with the SPFL Trust, Hibernian FC and Heart of Midlothian FC to engage with men in the heart of their community, to take action for their mental health. Participants can have discussions on suicide, on how to recognise the signs of mental health problems, how to providing initial help and guide a person to appropriate help. Together with the Rainbow Association, PFC Levski runs a social program for the prevention and treatment of insulin-dependent children with TYPE 1 diabetes. 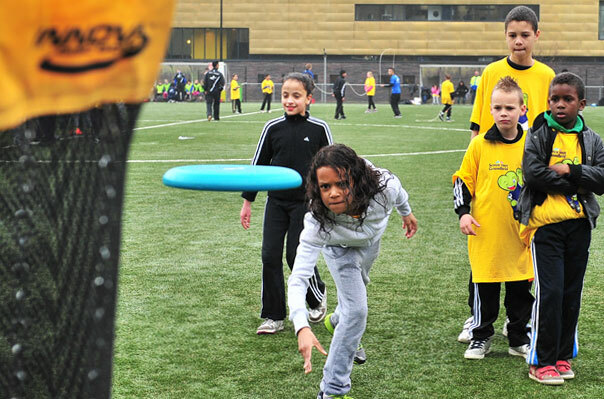 The programme helps children to deal with the disease and provide them opportunities for active sporting activities. This March, a dozen people with neurodegenerative diseases from the Conde Aresti Residence in Bilbao took part in a new edition of the Reminiscence Workshops. 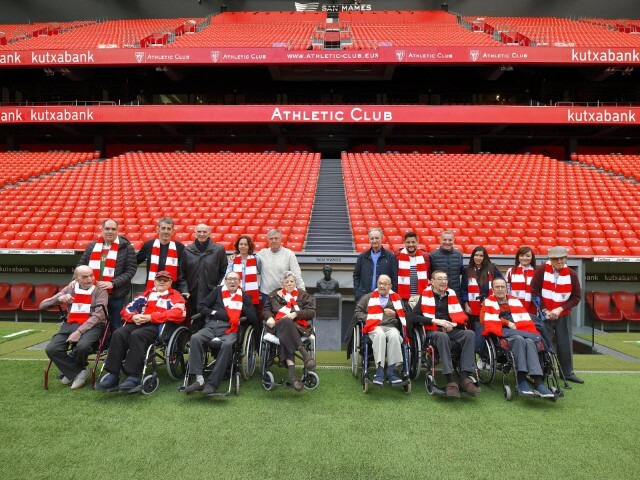 The day of reminiscing included a guided tour of the Athletic Club Museum and a further tour of the San Mamés field. The old memories of the elderly emerge from the stimuli associated with their experiences with Athletic Club and serve as a stimulus to combat Alzheimer’s disease. This year, PAOK first team players delivered new equipment to AHEPA Hospital, aiming to boost the clinic’s excellent work. Players were given a tour around the facilities and visited the laboratories. They also visited the patients and gave out presents and autographs.